Looking For The Best Power Supply For Small Pedalboards? We’ve reviewed pedalboard power supplies in the past, just take a look at our reviews for best noise free pedalboard power supply for guitarists. Interestingly enough, in both reviews we’ve ended up selecting the same number one winner. In both reviews, the Voodoo Lab Pedal Power 2 has come out on top of the rest. 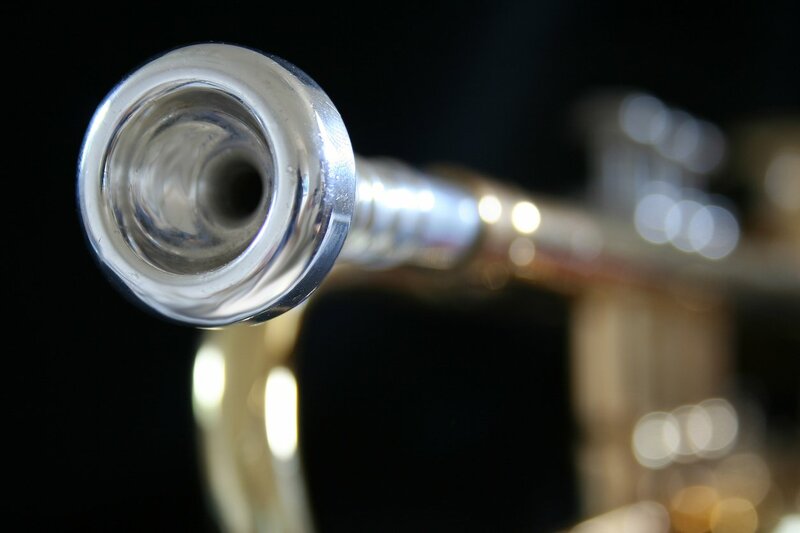 It stands out for its small and compact design, as well as its proven performance overtime. In fact, all of the boards we’ve ever put together, have eventually used a Voodoo Lab Pedal Power. Now, that’s not to say you can’t use any of the other power supplies on our list, quite the contrary actually. Depending on the number of pedals you’re planning to power, it’s probably best to go with a more inexpensive power supply, or even one with less outputs since you won’t need a ton. When it comes to small pedalboards, you can use any number of power supplies really, and you won’t hear any added noise. However if you’re planning on turning your small pedalboard, into a very large pedalboard over time, then you may want to pick up the Voodoo Lab Pedal Power 2 right from the start. The Voodoo lab is one of the best power supply’s at reducing unwanted hum and noise that occurs when you’re using a lot of pedals, like more than 10. For this review though, we’ll assume you’re using a small pedalboard. 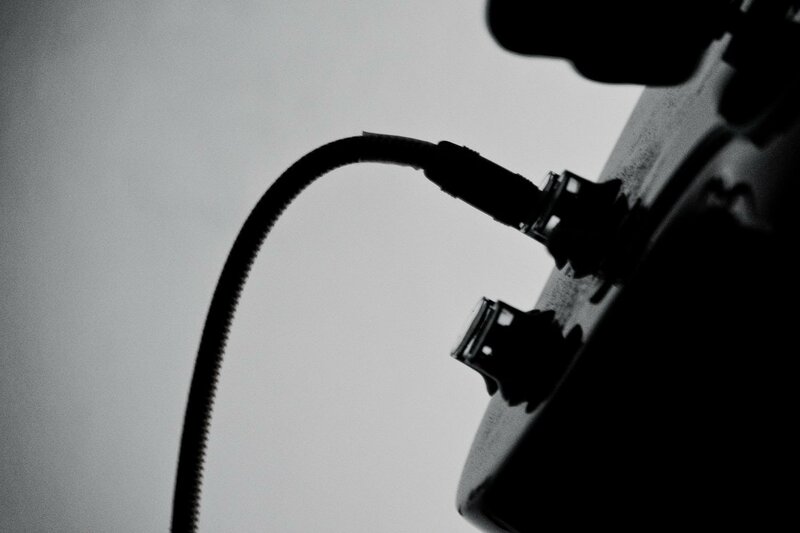 So, let’s take a look at the 5 best power supplies for small pedalboards. These are all excellent options, and no matter which power supply you end up choosing, we know you’re going to be satisfied. 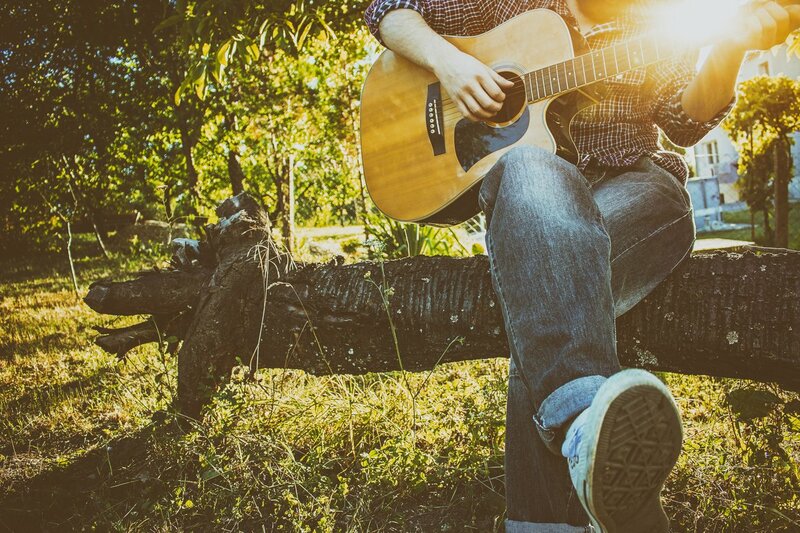 As always, we’ve done the hours of research for you, so you can just keep jamming. 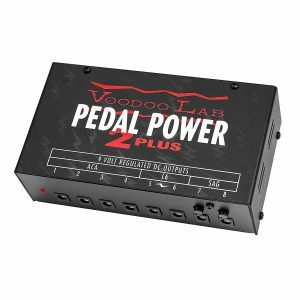 Our top choice is the Voodoo Lab Pedal Power 2. 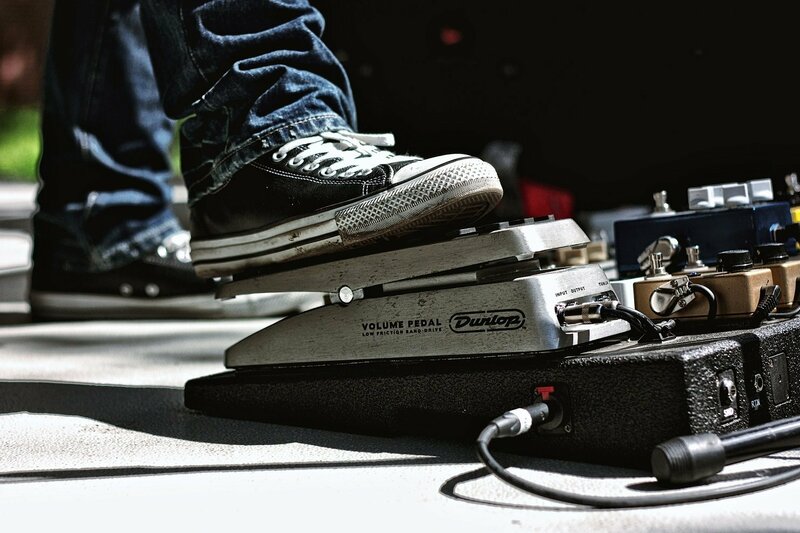 With 8 completely isolated outputs, you have plenty of options to power all of your pedals, even if you should choose to upgrade to a large pedal board. Each Voodoo lab pedal power is handmade in the USA and backed by a 5 year warranty. So, if you’re looking for reliable pedal power, it doesn’t get much better than the Pedal Power 2. Next up is the AGPtek 10 Isolated Output power supply. 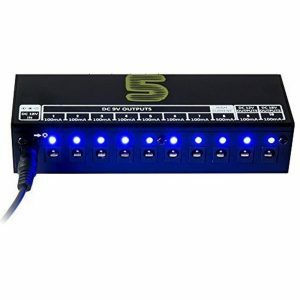 This power supply features 10 isolated outputs, each with a bright blue LED light. If the light changes color, it indicated a short circuit. This is a very handy feature to have on your pedal power supply because it allows you to diagnose issues much faster than some other units. 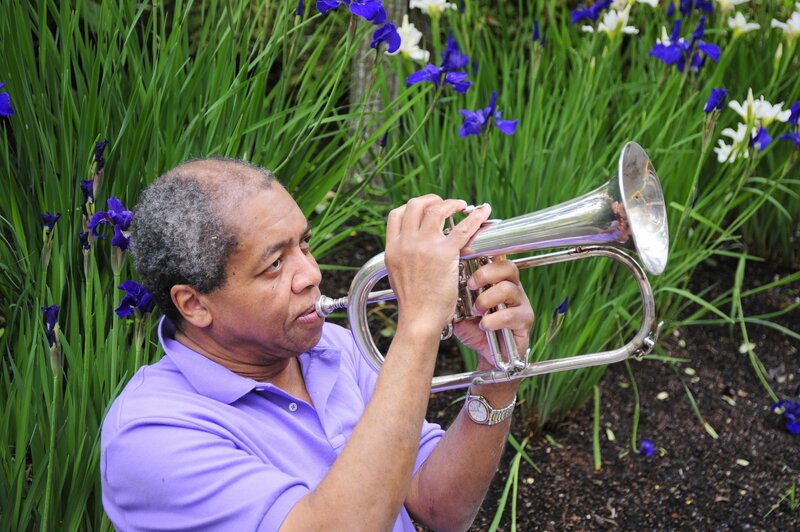 There are power outputs For 9V, 12V and 18V PEDALs, so you can power any pedal under the sun. Like most other pedal power supplies, you also have the ability to switch from 110v-240v. The MXR M237 is a great power supply for small pedalboards. 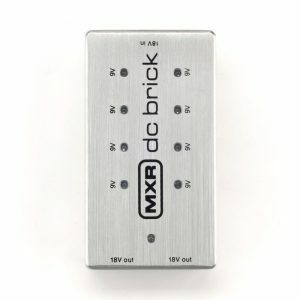 If you owned the original MXR power brick, you can rest easy knowing that this new model can handle twice the power of the original DC Brick. This power supply features eight 9v outputs and two 18v outputs, which is more than enough outputs for any pedalboard. Also, like the AGPtek above, it’s good to note that each 9v output has a red LED that illuminates in case a short occurs. 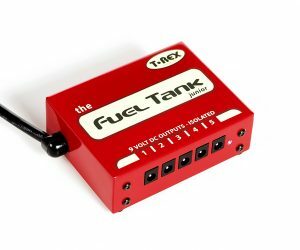 Let’s take a look at the T-Rex FUELTANK-JUNIOR. With only 5 isolated outputs, this power supply is the perfect size for any small pedalboard. Each 9VDC isolated outputs is 120 mA, giving your pedals just the right amount of power. These power supplies are praised for delivering clean and quiet power no matter how power intensive your pedals may be. Lastly there is the Outlaw Effects KEROSENE, which is probably the most affordable mini power supply on the market. 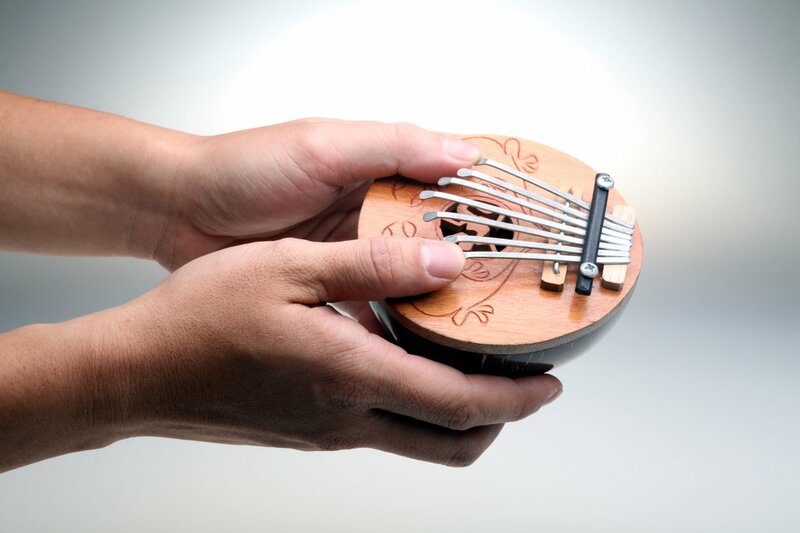 Yes, the outputs are not isolated, so if you use this with a lot of pedals you’ll likely hear some kind of buzz. 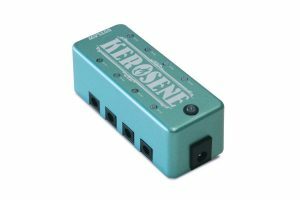 If you’re going to be using this power supply with only a few pedals, then you will have no issues using the Outlaw Effects Kerosene. Being the most affordable is no joke, and the Outlaw Effects power supply wins that contest by a land slide. For under $100, you have enough power to run all of your pedals, and the compact size of the pedal is ridiculously small, so you’ll still have room for your monstrous Strymon Big Sky Reverb unit. Whether you’re looking for the most compact power supply, the most inexpensive, or the most versatile we’ve got you covered. No matter which power supply you select from our list, we’re confident you’re going to be satisfied with your purchase. 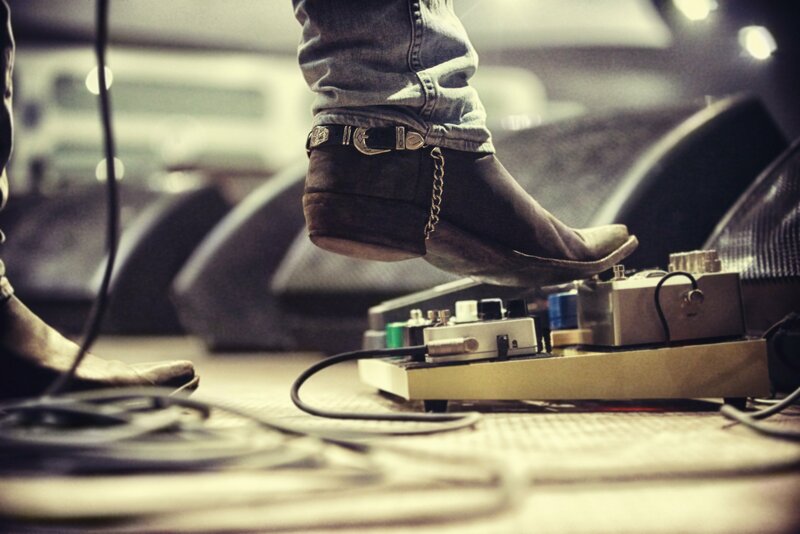 All of the power supplies on our list are excellent options for small pedal boards.